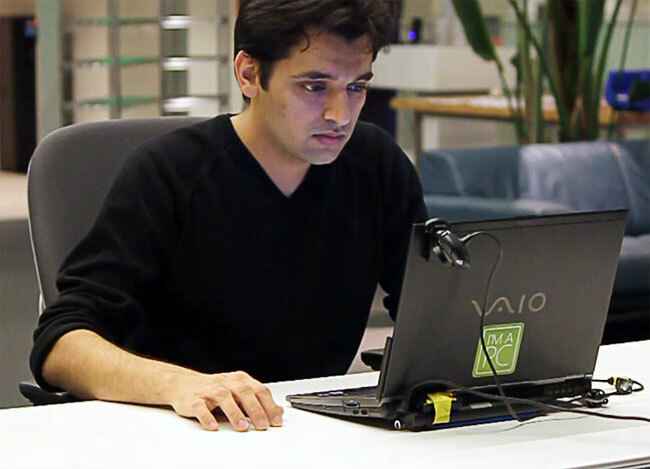 Here is an interesting take on the computer mouse, from Pranav Mistry of the MIT Fluid interfaces group, the Mouseless computer mouse, and although it doesn’t actually use a physical mouse the system works the same as if you were using one. You can see in the video below how the Mouseless computer mouse works, using both an IR and a laser camera to detect hands movements and mouse clicks. It certainly looks very interesting, and who knows we could see this sort of technology in laptops of the future.